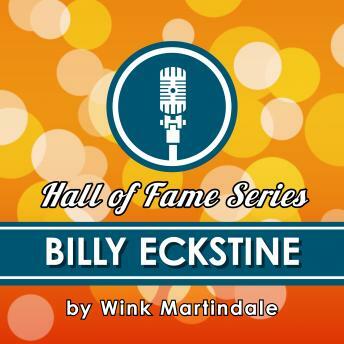 Billy Eckstine didn't consider singing a potential profession until he earned $5 as second prize in an amateur competition. He was bit by the showbiz bug after working as an MC and singer in his hometown of Pittsburgh while on summer break from college. He decided not to return to college and eventually began working in clubs throughout Buffalo, New York; Detroit and Chicago. Eckstine sat down with Wink Martindale for an interview in May of 1973. He discusses the early days of his career, his recordings, live performances and love for what he does to make a living in this fascinating conversation.